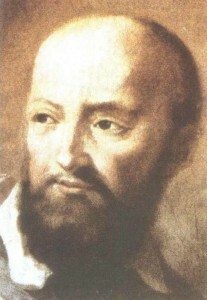 Francis de Sales was born in France in 1567 to a noble family. His father sent him to the best schools, and when he was 20 he decided to become a priest. Despite his wealthy background, Francis always thought it was more important to serve God than to have money or power. His father tried to persuade him to marry, but Francis was instead ordained at the age of 26. He quickly earned a reputation for being a kind and understanding man and an excellent speaker who attracted people to the Catholic faith. Many people in his diocese, which was partly in France and partly in Switzerland, followed the teachings of John Calvin, since at one time the Catholic faith had been outlawed in the region. Francis won many of them back. 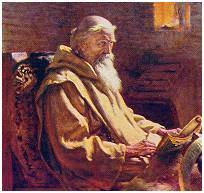 He taught religion to children and helped prepare men to be ordained priests. 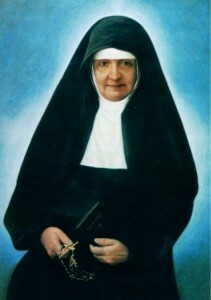 He wrote several books and helped St. Jane Francis de Chantal to found a religious order of women, the Order of the Visitation of Holy Mary, in 1610. Francis died in 1622 and was canonized in 1664 by Pope Alexander VII. He was declared a Doctor of the Church in 1877. He is a patron of writers and journalists because he used his writing to teach people about the faith.